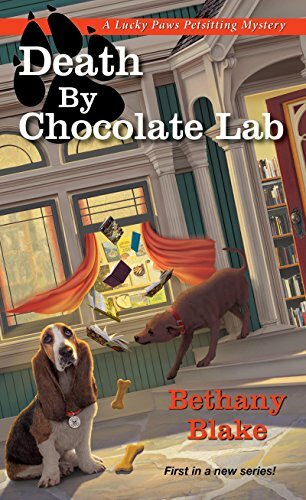 A Chocolate Lab names Axis, a Chihuahua named Artie, 3 huge rottweilers named Macduff, Iago and Hamlet and a Basset Hound named Socrates are all on a walk with pet sitter, Daphne Templeton and her sister Piper as the book starts out. Piper is a veterinarian and with the exception of her love life things are going well for her. Daphne lives with her rent free as she tries to get her new pet sitting business started. Piper’s ex Steve Beamus, is also part of this animal world in Sylvan Creek. He runs the Blue Ribbon K-9 Academy. They are all going to be together for a dog agility event at Piper’s farm. But when Steve is found dead in a unlikely place on Piper’s property, the event come to a barking halt and Piper is the first name on the list of prime suspects. Plus Steve’s dog Axis is missing. Daphne has no choice. 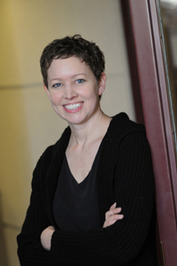 She needs to find that dog and prove to Detective Jonathan Black that her sister had nothing to do with Steve’s murder. But she may be biting off a little more than she can chew. As a dog lover I was in love with the canine characters well before the end of chapter one. Socrates belongs to Daphne and she is fostering little Artie in hope of finding this unusual little dog a forever home. The rottweilers belong to a very well to do client. Axis, the victims dog is missing throughout most of the story and I was as anxious as Daphne to know that he was safe. In addition to the 4 legged characters the story is filled with an great and unique cast of human characters. In addition to the sisters and the deceased, we meet Detective Jonathan Black. He is new in town, easy on the eyes and really doesn’t think Piper is guilty. Daphne, if she is honest with herself, would like to get to know the man better. Virginia Lockhart, owns the rottweilers with her politician husband but I think she loves those dogs more than she loves him. Mr. Peachy lives in a cottage on the farm and is sort of like a grandfather figure to the girls and helps out around the farm. We also meet some Sylvan Creek merchants. All the characters are well fleshed out and believable. The story starts out at a good clip. The murder happens in the early chapters. Then the pace slows down almost too much but does pick up again. I usually read a book in two evenings. The slower pace gave me a good stopping point the first night and then I quickly finished it up on night two. The mystery itself had plenty of suspects and when we reached the big reveal it just knocked my socks off. I was absolutely, and totally surprised. The story also reached a happy place at the end for two of the doggies and that made the reader very happy. These characters were very engaging so I am excited for their next story. The Lucky Paws Petsitting Mysteries are off to an excellent start! This book looks amazing, I would love a chance to win this book. Thanks for your generosity. Another series for me to follow!!!!!! !